Throughout the story, look here for photos, videos, notes, and more related to the passage you’re reading. They know about the scandals and the singular achievements, but for many people what most endures about Ted Kennedy is his gift, especially in times of sorrow, for compassionate connection. He sought them out; he helped. 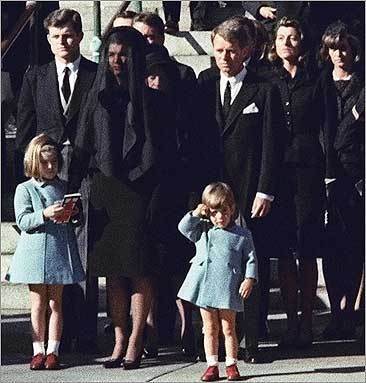 (AP) Three-year-old John F. Kennedy Jr. salutes his father's casket in Washington on Nov. 25, 1963, three days after the president was assassinated in Dallas. Jacqueline Kennedy and daughter Caroline Kennedy are accompanied by Edward Kennedy (left) and Robert Kennedy. 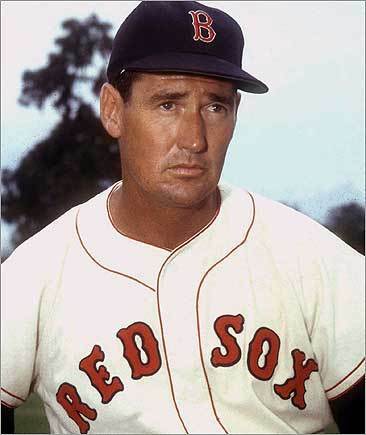 (AP) Ted Williams, one of Kennedy's boyhood heroes, symbolized the kind of heroism Kennedy knew he had to reach for: an indefatigable day-to-day reliability. 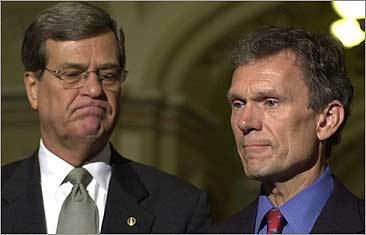 Kennedy remained a lifeline for families affected by the 9/11 attacks and he urged then-Senate majority leader Tom Daschle (right) to support the appointment of a former Kennedy chief of staff as the special master of the 9/11 Victims Compensation Fund. 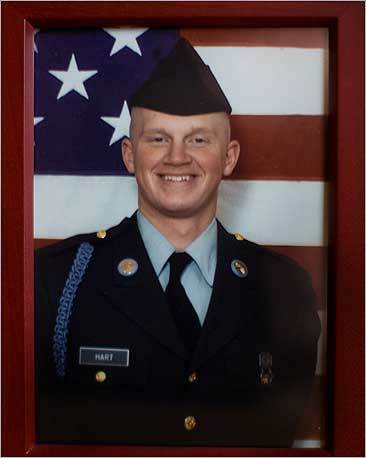 A portrait of Private First Class John D. Hart, who was killed by a roadside bomb in Iraq in 2003. After his death, John's parents, Brian and Alma Hart, worked with Senator Kennedy to get better armor for US soldiers. The Harts told Kennedy that their son had been ambushed while riding in a canvas-topped Humvee that had no armor, no bulletproof shields, not even a metal door. 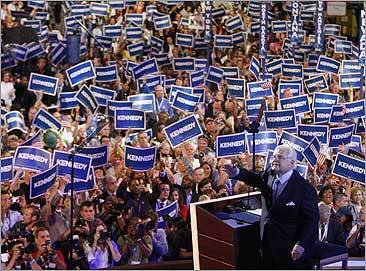 Kennedy acknowledges the crowd at the end of his speech at the Democratic National Convention in Denver in August 2008.